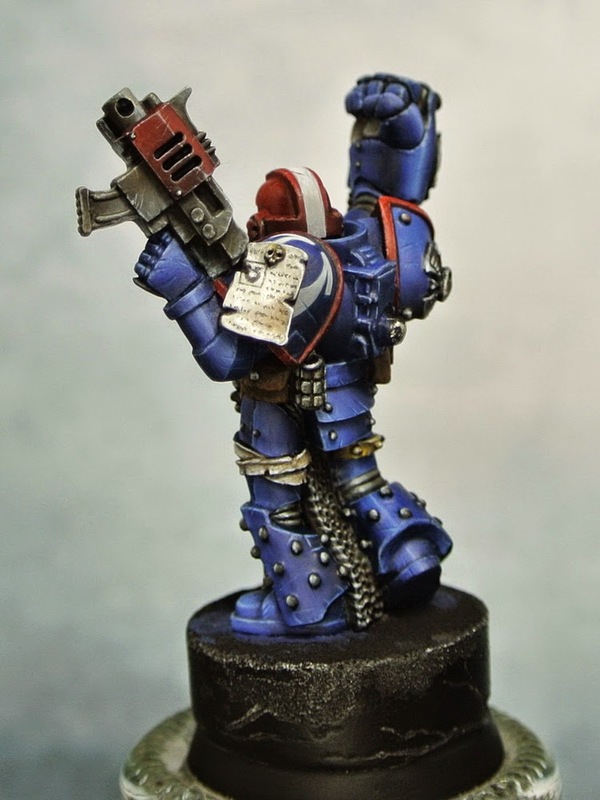 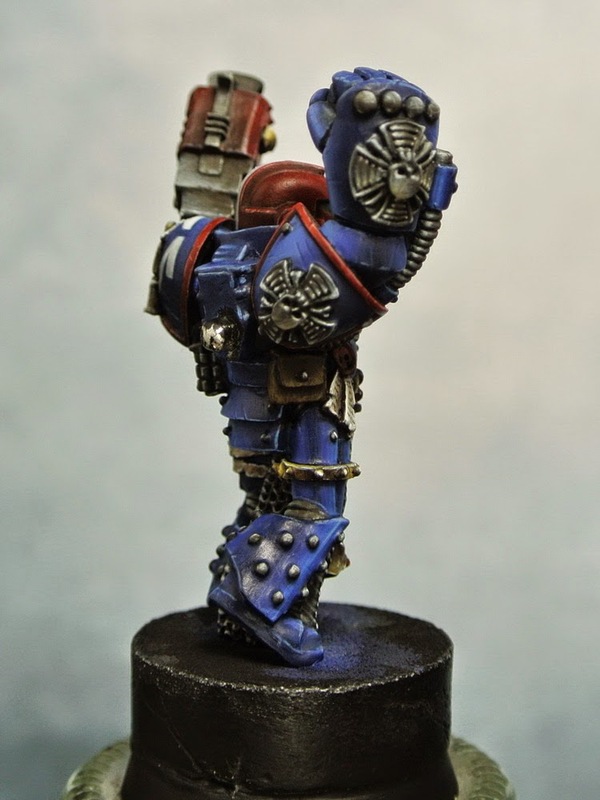 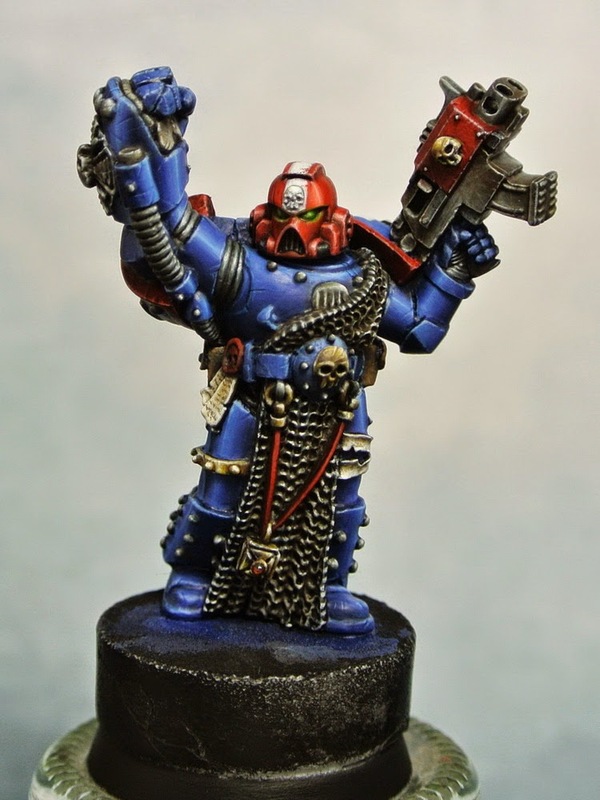 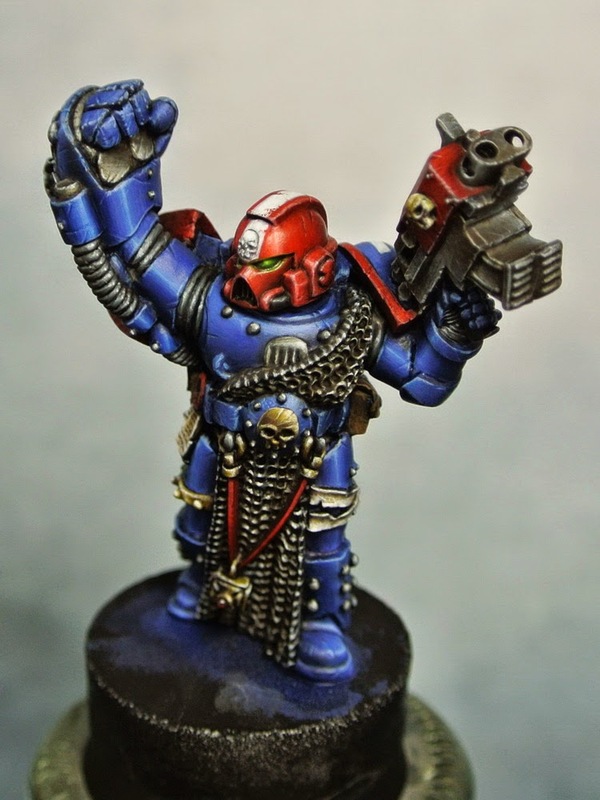 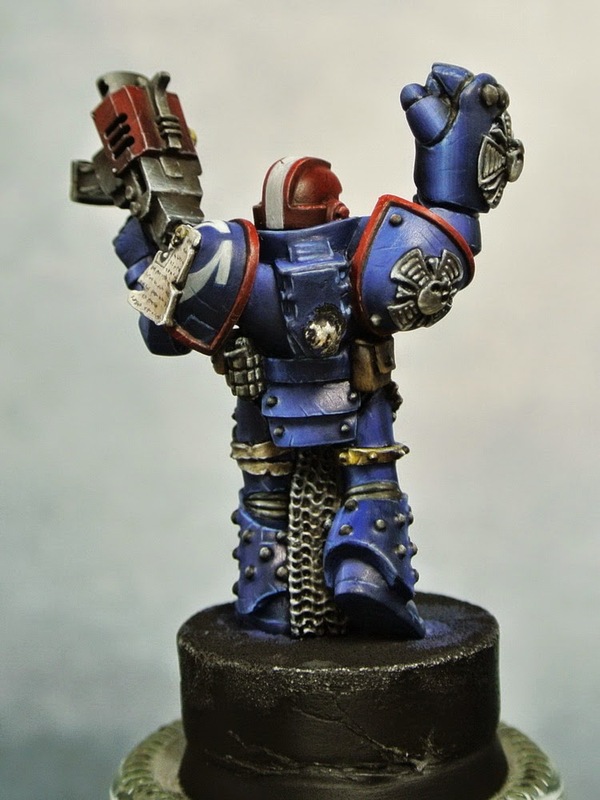 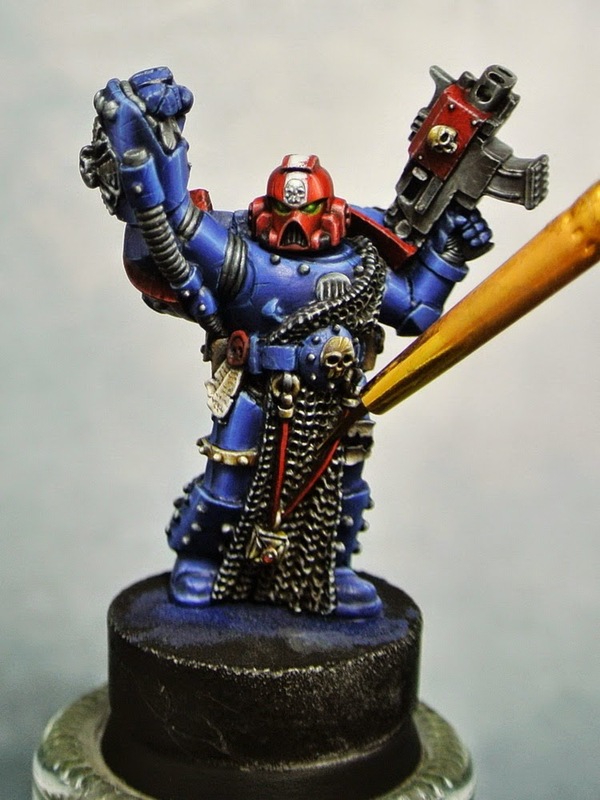 I've finished painting Ultramarines Veteran Sergeant (except backpack & banner) The NMM technique was done with the same method HERE as usual, but this time I used oil paint to wash the NMM areas in order to make it has more brownish and make it looks like a worn steel. 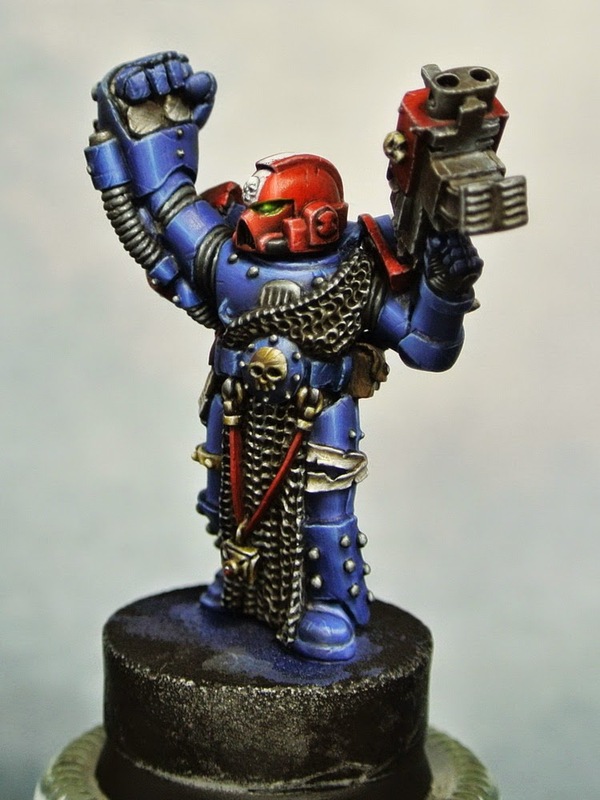 You can see the different between before and after wash in the comparision pics below, especially on the gun part and chainmail. 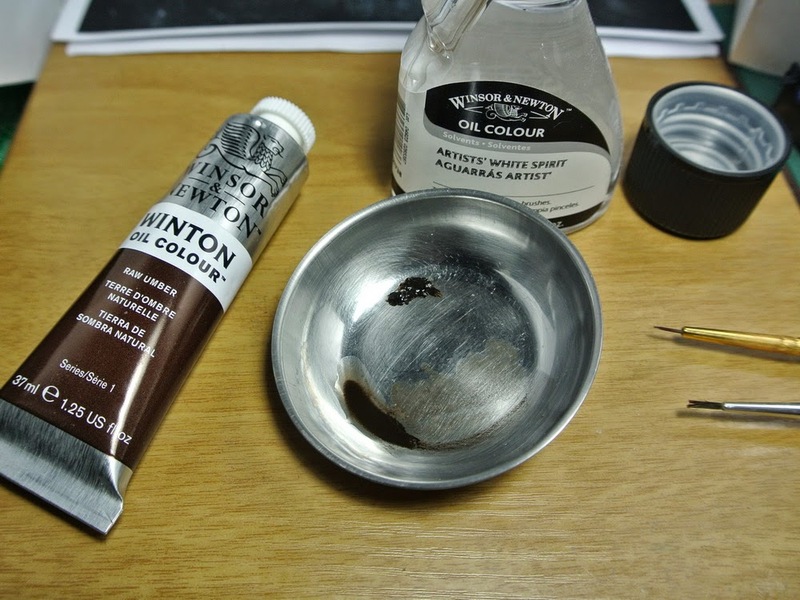 I used Winsor & Newton "Raw Umber" diluted with White Spirit (or you can dilute it with Turpentine).